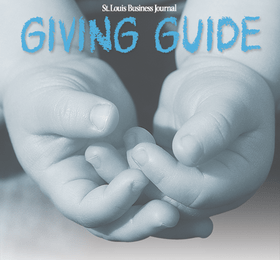 Every year, the St. Louis Business Journal gives tribute to the St. Louis giving spirit by compiling the Giving Guide. It is a list of nonprofits, many of which are sponsored by corporations or individuals that believe in their work. This year, for the first time ever, the Giving Guide is online. You can see who sits on which boards, who they serve and learn about their mission. It’s a great representative sample of what St. Louis offers. The 2011 Guide is sponsored by the Greater St. Louis Community Foundation (GSTLCF). The GSTLCF recently released its new tool- YourGivingLink– that is a database of regional charities. YourGivingLink can can acquaint you with charities that are doing community work that you are passionate about. If you are a nonprofit that would like to complete a profile on YourGivingLink please contact Jenny Praytor at 314.880.4966 or jpraytor@stlouisgives.org. Click the below links to access the organization’s profile in the Giving Guide. Boys Hope Girls Hope of St. Louis Inc. Thanks for compiling these very important charities. It’s important to be grateful for what we have and to lend a helping hand to others if we are blessed with the means to do so.